At Delcor, we’re the clear choice when it comes to commercial refrigeration. We offer installation and commercial refrigeration repair for all brands of refrigeration and ice machine equipment in restaurants, convenience stores, and other businesses in Eastern NC. We service all brands of equipment. Call us if you’ve got a problem with your refrigeration system, walk-in or reach-in coolers, ice machines, medical freezer, display case, or any other related refrigeration equipment. Our highly trained team of professionals are prepared to diagnose and fix any problem. We’re also available for preventative maintenance service to make sure your equipment continues to operate at peak performance. Should your equipment need to be replaced or if you’re interested in having a new unit installed, we are here for you. We will work with you to select the best refrigeration equipment for your business and professionally install it for you. We know that if your equipment breaks, your business can’t afford extensive delays. Delcor never closes. We offer emergency service availability 24 hours a day, 7 days a week, and 365 days a year. Fully licensed and insured, we possess the skills and tools to handle any defect or problem that arises in your commercial refrigeration equipment. We’ve been around since 1971. In that time, we’ve gained a reputation as a company with old-fashioned values and cutting-edge knowledge. It’s not enough to provide competitive service at competitive rates. We also value an ethical and honest relationship with our customers. 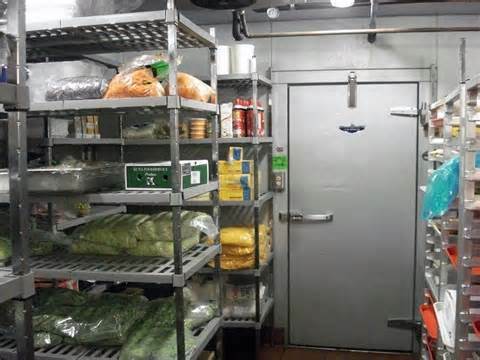 We service refrigeration systems in all types of industries including restaurant/hospitality, hospitals, medical facilities, grocery stores, and any business that uses refrigeration. We service, sell, and install: walk-in coolers, walk-in freezers, refrigerated restaurant equipment, and ice machines. Call or email us for all of your commercial refrigeration repair and installation needs! We cover from Greenville to Raleigh to Jacksonville, Fayetteville, Morehead City, Plymouth Edenton, Rocky Mount, Wilson, Tarboro, Kinston, New Bern and anywhere in between.